Ask how to be INVOLVED!!! build my future April 17, 2019 Ozark Empire Fairgrounds Call 881.3711 & ask how you can participate. The lighting design specialists dedicated to service, quality, and selection for over 30 years. Come discover the Light House Gallery, Springfield's most unique lighting & fan store. CallKrueger.com 417-883-6395 Hand crafted with pride – Made In The USA Proudly providing products made in the U.S.A.
E L E VAT E Y O U R P R O P E R T Y.
Cinema • Sound • Automation • Safety Call today for complimentar y consultation! Send tips, savings, new products to Aaron@HBASpringfield.com Weâ&#x20AC;&#x2122;ll post it in the HBA Home Pros Info-Letter, on the HBASpringfield.com website and on Facebook. CATEGORY INDEX . . . . . . . . . . (573) . . . .
536-1448 887-7134 . . 886-5882 . . 501-5133 . Access Control Anchor Fence . . . . . . . . . Carnahan-White / D & J Automatic . . . Carnahan-White, Inc . . . . . . . Federal Protection Inc . . . . . . . Interactive Home Systems . . . . . . Mediacom . . . . . . . . . . Missouri Tile . . . . . . . . . Robinson Fence . . . . . . . . Accessibility Modifications Lifemark Bath & Home Solutions, LLC . . Accessibility Remodeling First Choice Construction, LLC. . . . . Friga Construction Co. Inc . . . . . Superior Exteriors & Remodeling . . . . White House Renovations, LLC . . . . Accounting, Tax Preparation KPM CPAs & Advisors . . . . . . Advertising, Marketing, Public Relations 417 Magazine . . . . . . . . ADsmith Marketing & Advertising . . . ColorGraphic Printing Inc . . . . . . Midwest Droneworks . . . . . . . News-Leader Media Group . . . . . Springfield Business Journal . . . . . Air Duct Cleaning Air Services/All Service Plumbing . . . Dog Gone Mold . . . . . . . . LCS Kleen-Aire, Inc. . . . . . . . Air Quality Products Air Services/All Service Plumbing . . . All Klear Plumbing, Heating & Cooling, Inc . ATS Heating & Cooling . . . . . . Krueger Geothermal Systems, Inc . . . LCS Kleen-Aire, Inc. . . . . . . . Lennox Industries . . . . . . . . Lorenz Plumbing, Heating & Air . . . . Ozark Foam InSEALators . . . . . . Signature Home Comfort HVAC, Inc . . . SS&B Heating & Cooling . . . . . . Symbiont Services . . . . . . . . Appliances JC Penney . . . . . . . . . . Metro Appliances & More . . . . . Architects B&G Drafting, Inc. . . . . . . . Insight Design Architects, LLC . . . . . Asbestos Removal Sunbelt Environmental Services . . . . Attorneys Lowther Johnson Attorneys at Law . . . Spencer Fane . . . . . . . . . The Law Office of John D. Kail . . . . Backyard Renovation Built By Brett . . . . . . . . . Buster Crabbe Pools, Inc. . . . . . . Gabris Landscaping, LLC . . . . . . Gene Douglas Construction . . . . . Myron Royce Gardens . . . . . . R.L.’s Swimming Pools . . . . . . . Banking Arvest Bank . . . . . . . . . Central Bank of the Ozarks . . . . . Central Bank of the Ozarks . . . . . Commerce Bank . . . . . . . . Great Southern Bank . . . . . . . Guaranty Bank . . . . . . . . O’Bannon Bank . . . . . . . . Old Missouri Bank . . . . . . . Springfield First Community Bank . . .
886-5024 . 725-7665 . 837-1578 . . 581-8025 . . 443-2648 . . 725-5563 . 885-7268 773-7709 881-3100 837-5247 . . 888-4370 . . 885-0568 . . 345-2252 . . 869-9000 . . 851-5711 . . . Systematic Savings Bank . . . . . . . . The Bank of Missouri . . . . . . . . . US Bank Home Mortgage . . . . . . . Bathroom Accessories Bath Fitter . . . . . . . . . . (314) Custom Surface Solutions . . . . . . . . Edge Supply Company . . . . . . . . Harry Cooper Supply Company . . . . . . Metro Appliances & More . . . . . . . National Home Products . . . . . . . . Ozarks Marble . . . . . . . . . . Plumb Supply Company . . . . . . . . Southern Materials Co . . . . . . . . Springfield Rebath . . . . . . . . . . Top Tier Kitchens & Baths . . . . . . . . Blinds, Shutters, & Shades Bloomin’ Blinds . . . . . . . . . . Budget Blinds of SE Springfield . . . . . . Carney’s Window Coverings, Inc . . . . . Decorating Den Interiors . . . . . . . . Screenmobile of the Ozarks, LLC . . . . . . Bookcases Bill’s Custom Woodworks Inc. . . . . . . Cabinet Concepts by Design . . . . . . . EKR Designs, LLC . . . . . . . . . . Wood Craft & Companies, LLC . . . . . . Brick, Stone, Masonry, Sand Suppliers Acme Brick Company . . . . . . . . . Acme Brick Company . . . . . . . . . Fraley Masonry . . . . . . . . . . Midwest Block & Brick . . . . . . . . Rosales Masonry Co., LLC . . . . . . . Builder Rewards Program American Glass . . . . . . . . . . Builder: New Home Construction Alternative Energy Construction . . . . . . Archer Construction Company . . . . . . BP Builders LLC . . . . . . . . . . Braden Home Construction, LLC . . . . . . Built By Brett . . . . . . . . . . . Bussell Building, Inc. . . . . . . . . . CONSTRUCT Design Build LLC . . . . . . Cowherd Construction Co. Inc. . . . . . . Crutcher Custom Homes . . . . . . . . Cunningham Construction . . . . . . . Curran Construction, LLC . . . . . . . . Cutting Edge Homes LLC . . . . . . . . Dobbs & Stuhlsatz Custom Homes . . . . . Eck Group Building & Development LLC . . . . Essick Builders, LLC . . . . . . . . . Fahrlander Custom Homes, Inc . . . . . . Finley Homes LLC . . . . . . . . . . First Choice Construction, LLC. . . . . . . Gene Douglas Construction . . . . . . . Hawthorne Creek Homes . . . . . . . . Herman Custom Critical Homes . . . . . . HP Construction, LLC . . . . . . . . . Integrity Homes by Stewart . . . . . . . J. Russell MacLachlan Custom Homes . . . . John Marion Custom Homes, LLC . . . . . Kevin Clingan Home Design & Construction, Inc. . King Built Properties, LLC . . . . . . . . Martin Building & Development . . . . . . Master’s Plan Construction, LLC . . . . . . MC Homes, LLC . . . . . . . . . . Millstone Custom Homes . . . . . . . . Monticello Custom Homes & Remodeling . . . Morelock Ross Properties, Inc. . . . . . . Ramsey Building Company LLC . . . . . . Reid Homes, Inc. . . . . . . . . . . Rhoads Design & Construction . . . . . . Robbins Create & Construct, LLC . . . . . .
Rock Solid Renovations . . . . . . . . Sam Bradley Homes . . . . . . . . . Stenger Homes, LLC . . . . . . . . . Three Stone Homes . . . . . . . . . Travis Miller Homes . . . . . . . . . Vita Bella Homes, LLC . . . . . . . . . Weber Home & Land LLC . . . . . . . . Williams Home Builders, LLC . . . . . . . Wise Built Homes . . . . . . . . . . Woodstone Builders, LLC . . . . . . . . Builder: Systems Built Homes Alternative Energy Construction . . . . . . Builder: Timber Frame Homes Dobbs & Stuhlsatz Custom Homes . . . . . J. Russell MacLachlan Custom Homes . . . . Ramsey Building Company LLC . . . . . . Building Materials: Home Centers Herrman Lumber Company . . . . . . . Meek’s - The Builder’s Choice . . . . . . Meek’s - The Builder’s Choice . . . . . . Meek’s - The Builder’s Choice . . . . . . Meek’s - The Builder’s Choice . . . . . . Building Materials: Specifications Creative Associates, Inc . . . . . . . . Building Materials: Wholesale Dyke Lumber Company . . . . . . . . Midwest Timber Supply LLC . . . . . . . Building Regulations City of Republic . . . . . . . . . . City of Springfield Building Development Services . Burglar & Fire Alarm Systems American Detection Specialist, Inc. . . . . . Atlas Security . . . . . . . . . . . Central Home Systems . . . . . . . . Federal Protection Inc . . . . . . . . . Mediacom . . . . . . . . . . (573) Business Coaching The Growth Coach . . . . . . . . . Cabinet Refinishing Cabinet Refinishing Center by Gleam Guard . . Cabinets Alpine Wood Products . . . . . . . . Bill’s Custom Woodworks Inc. . . . . . . Cabinet Concepts by Design . . . . . . . Cabinet Refinishing Center by Gleam Guard . . Creative Associates, Inc . . . . . . . . Dakota Cabinet Co, LLC . . . . . . . . Dave’s Custom Woodworking Inc . . . . . EKR Designs, LLC . . . . . . . . . . Home Design Wholesale . . . . . . . . Kitchenland U S A . . . . . . . . . . Ozark Mountain Granite Co . . . . . . . Southern Supply Company . . . . . . . Top Tier Kitchens & Baths . . . . . . . . Wood Craft & Companies, LLC . . . . . . Carpenters J&M Custom Carpentry . . . . . . . . Carpet & Floor Coverings Bearden Carpet . . . . . . . . . . Casual Carpets, Inc. . . . . . . . . . Classic Wood Floors . . . . . . . . . Color Tile and Carpet . . . . . . . . . Decorating Den Interiors . . . . . . . . Discount Dave’s LLC . . . . . . . . . Habitat For Humanity . . . . . . . . . Midwest Rug Company . . . . . . . . Missouri Tile . . . . . . . . . . . Mouery’s Flooring . . . . . . . . . . Springfield Carpet One . . . . . . . . Stoneridge Flooring Design . . . . . . . The Carpet Shoppe, Inc. . . . . . . . . Vermillion Hardwood Flooring . . . . . .
Commercial BP Builders LLC . . . . . . . . . . Curran Construction, LLC . . . . . . . . John Marion Custom Homes, LLC . . . . . Master’s Plan Construction, LLC . . . . . . Woodstone Builders, LLC . . . . . . . . Concrete - Flatwork Anderson Construction Co., Inc. . . . . . . Concrete Enhancements . . . . . . . . John A. Barnett Enterprises, LLC . . . . . . R.L.’s Swimming Pools . . . . . . . . . Tidwell Concrete, Inc. . . . . . . . . . Wightman Construction, LLC . . . . . (636) Concrete & Cement City Wide Construction Products . . . . . . Conco . . . . . . . . . . . . . Concrete Enhancements . . . . . . . . John A. Barnett Enterprises, LLC . . . . . . Renew Crew . . . . . . . . . . . Southwest Materials Inc . . . . . . . . Springfield Ready Mix Co. . . . . . . . Tidwell Concrete, Inc. . . . . . . . . . Concrete Sealing Concrete Enhancements . . . . . . . . Sherwin Williams . . . . . . . . . . Tidwell Concrete, Inc. . . . . . . . . . Concrete Walls Alternative Energy Construction . . . . . . H&H Concrete Construction, Inc. . . . . . . John A. Barnett Enterprises, LLC . . . . . . Mills Foundation, LLC . . . . . . . . . TF Forming Systems, Inc. . . . . . . . . Construction Disbursement Fidelity Title Agency . . . . . . . . . Great American Title . . . . . . . . . Hogan Land Title Co . . . . . . . . . WACO Title . . . . . . . . . . . Construction Equipment Hayden Machinery, LLC . . . . . . . . Consumer Verification Service Better Business Bureau of Southwest MO . . . Contracting Services SGF Contracting Services, Inc. . . . . . . Copper Work Advanced Metal Fabricators . . . . . . . Countertops Advanced Metal Fabricators . . . . . . . Cabinet Concepts by Design . . . . . . . Custom Granite & Tile, LLC . . . . . . . Custom Surface Solutions . . . . . . . . Dal-Tile . . . . . . . . . . . . . Kitchenland U S A . . . . . . . . . . Ozark Mountain Granite Co . . . . . . . Ozarks Marble . . . . . . . . . . Solid Surface Designs, Inc . . . . . . . Taylor Marble Co. . . . . . . . . . . Top Tier Kitchens & Baths . . . . . . . . Unique Tile, LTD . . . . . . . . . . Vermillion Hardwood Flooring . . . . . . Wood Craft & Companies, LLC . . . . . . Crawl Space Systems Bolivar Insulation of Spfld, LLC (A G5 Company) . Cultured Marble Suppliers Ozarks Marble . . . . . . . . . . Taylor Marble Co. . . . . . . . . . . Custom Draperies Budget Blinds of SE Springfield . . . . . . Carney’s Window Coverings, Inc . . . . . Erica Lea Design Studios . . . . . . . . Gina McMurtrey Interiors LLC . . . . . . JC Penney . . . . . . . . . . . . Custom Made Furniture Obelisk Home . . . . . . . . Custom Screen Doors Screenmobile of the Ozarks, LLC . . . Decks Arrowhead Building Supply . . . . Friga Construction Co. Inc . . . . KennCo Construction . . . . . . Meek’s - The Builder’s Choice . . . MMC Fencing & Railing . . . . . Renew Crew . . . . . . . . Southwestern Professional Exteriors . . St. Clair of the Ozarks . . . . . Sustainable by Nature . . . . . The Deck Company . . . . . . W Bar Y Fence . . . . . . . White House Renovations, LLC . . . Decorating Carney’s Window Coverings, Inc . . Decorating Den Interiors . . . . . Erica Lea Design Studios . . . . . Gina McMurtrey Interiors LLC . . . J.L. Thompson Design Group, Inc . . Obelisk Home . . . . . . . . Decorative Concrete Advanced Lawn Care & Fertilizer, Inc. . Concrete Enhancements . . . . . Custom Surface Solutions . . . . . Mocrete . . . . . . . . . Tidwell Concrete, Inc. . . . . . . Wightman Construction, LLC . . . . Disaster Restoration Bixler Corporation . . . . . . . KennCo Construction . . . . . . Doors, Exterior & Interior Alpine Wood Products . . . . . Alside . . . . . . . . . . American Glass . . . . . . . Brookline Doorworks . . . . . . Dyke Lumber Company . . . . . Habitat For Humanity . . . . . . Herrman Lumber Company . . . . Janss Lumber Co., LLC . . . . . Meek’s - The Builder’s Choice . . . Meek’s - The Builder’s Choice . . . Meek’s - The Builder’s Choice . . . Meek’s - The Builder’s Choice . . . Meek’s - The Builder’s Choice . . . Meek’s - The Builder’s Choice . . . Meek’s - The Builder’s Choice . . . Midwest Window & Door Corp. . . . Pella Window & Door of Springfield . . Renner Supply Company . . . . . SmithCo Exteriors, LLC . . . . . Southern Supply Company . . . . The Millwork Shoppe . . . . . . Window World of Springfield . . . Windsor Windows & Doors . . . .
890-8637 . 724-9400 . 633-3188 . . . 343-6058 . . . 230-2524 . . . 616-6488 . .
833-6575 830-2060 . . . 536-7785 . . . 889-7171 . . . 883-4787 . (636) 262-1109 . . . . . . . . . . . . .
. 887-6682 . 862-6223 . 827-1428 . 581-9034 . 866-0990 . 443-1550 . 866-6664 . . . .
Drywall & Plaster Contractors Hoagland Drywall, LLC . . . . . Superior Interiors, Inc. . . . . . Drywall, Plaster & Sheetrock Suppliers Allied Manufacturing Company . . . Foundation Building Materials . . . Meek’s Insulation & Drywall . . . . Wildcat Materials Inc . . . . . . Electrical Plan Design Davis Electric, LLC . . . . . . . Electrical Suppliers Harry Cooper Supply Company . . . Meek’s - The Builder’s Choice . . . Nixa Hardware & Seed Co . . . . The Light House Gallery . . . . . Electrician Davis Electric, LLC . . . . . . . Electric Green, LLC . . . . . . Fitch Electric, LLC . . . . . . . Sechler Electric . . . . . . . Skywire Electrical Systems, LLC . . . Springfield Electric, LLC . . . . . Elevators Country Home Elevator & Stair Lifts . . Energy Audit Services B&G Drafting, Inc. . . . . . . Sun Solar . . . . . . . . . Energy Efficiency HP Construction, LLC . . . . . . insulUSA, LLC . . . . . . . . Lennox Industries . . . . . . . Ozark Foam InSEALators . . . . . SS&B Heating & Cooling . . . . . Symbiont Services . . . . . . . Engineered Lumber Herrman Lumber Company . . . . Meek’s - The Builder’s Choice . . . Meek’s - The Builder’s Choice . . . Engineers Miller Engineering, P.C. . . . . . Entertainment Systems 3D Smart Homes LLC . . . . . . Interactive Home Systems . . . . . Rave Design Services . . . . . . SCS Home Entertainment . . . . . Sunbelt Environmental Services . . . Equipment Suppliers, Rentals Hayden Machinery, LLC . . . . . Wildcat Tool Rental . . . . . . Excavating, Grading, & Trenching Advanced Lawn Care & Fertilizer, Inc. . Anderson Construction Co., Inc. . . . Gillespie Excavating Co, LLC . . . . JAG’S Lawn and Landscape . . . . LaFollette Excavating . . . . . . Myron Royce Gardens . . . . . Reed’s Plumbing & Excavation . . . Wildman Plumbing . . . . . . Exterior Wood Treatment Renew Crew . . . . . . . . Sherwin Williams . . . . . . . Fences Advanced Welding & Ornamental Iron . Anchor Fence . . . . . . . . Carnahan-White, Inc . . . . . . MMC Fencing & Railing . . . . . Ozark Fence and Supply Co., Inc. . . Renew Crew . . . . . . . . Robinson Fence . . . . . . . Trimworks Lawncare, Inc. . . . . . W Bar Y Fence . . . . . . .
Financial Institutions Arvest Bank . . . . . . . . . . . Central Bank of the Ozarks . . . . . . . Central Bank of the Ozarks . . . . . . . Commerce Bank . . . . . . . . . . Flat Branch Home Loans . . . . . . . . Great Southern Bank . . . . . . . . . Guaranty Bank . . . . . . . . . . O’Bannon Bank . . . . . . . . . . Old Missouri Bank . . . . . . . . . Springfield First Community Bank . . . . . Systematic Savings Bank . . . . . . . . The Bank of Missouri . . . . . . . . . US Bank Home Mortgage . . . . . . . USA Mortgage Bank . . . . . . . . . Fire Damage Restoration Bixler Corporation . . . . . . . . . . Curran Construction, LLC . . . . . . . . KennCo Construction . . . . . . . . . Fire Sprinkler Installation DeLong Plumbing Two, Inc. . . . . . . . Gold Mechanical, Inc. . . . . . . . . Lorenz Plumbing, Heating & Air . . . . . . Fireplaces & Mantels Custom Granite & Tile, LLC . . . . . . . Heartwood Lumber Sales, Inc . . . . . . HMI Fireplace Shops . . . . . . . . . Home Design Wholesale . . . . . . . . LCS Kleen-Aire, Inc. . . . . . . . . . Maschino’s . . . . . . . . . . . . Meek’s Design Center . . . . . . . . . Meek’s Insulation & Drywall . . . . . . . Nixa Hardware & Seed Co . . . . . . . Rosales Masonry Co., LLC . . . . . . . Solid Surface Designs, Inc . . . . . . . Unique Tile, LTD . . . . . . . . . . Foundation Repairs Anderson Construction Co., Inc. . . . . . . Foundation Recovery Systems . . . . . . P.E.P. Waterproofing, LLC . . . . . . (573) Foundation/Basement Sealing Advanced Foundation Coatings, Inc. . . . . Anderson Construction Co., Inc. . . . . . . Garage Doors Brookline Doorworks . . . . . . . . . Renner Supply Company . . . . . . . . The Overhead Door Company of Springfield . . Gate & Gate Automation Anchor Fence . . . . . . . . . . . Brookline Doorworks . . . . . . . . . Carnahan-White / D & J Automatic . . . . . Carnahan-White, Inc . . . . . . . . . Federal Protection Inc . . . . . . . . . Ozark Fence and Supply Co., Inc. . . . . . Renner Supply Company . . . . . . . . Robinson Fence . . . . . . . . . . Generator All Klear Plumbing, Heating & Cooling, Inc . . . Springfield Electric, LLC . . . . . . . . Geothermal Products Hewitt-Messenger Well Drilling . . . . . . Krueger Geothermal Systems, Inc . . . . . Larson Heating, Air and Plumbing . . . . . Lefty’s Pump and Drilling . . . . . . . . Lennox Industries . . . . . . . . . . Plumb Supply Company . . . . . . . . Signature Home Comfort HVAC, Inc . . . . . Springfield Electric, LLC . . . . . . . . Symbiont Services . . . . . . . . . . Glass & Mirrors Products American Glass . . . . . . . . . . National Home Products . . . . . . . .
Glass Block Acme Brick Company . . . . . . . . . Acme Brick Company . . . . . . . . . Glass Tint Budget Blinds of SE Springfield . . . . . . Graduate Master Builder (GMB) Sam Bradley Homes . . . . . . . . . Granite Custom Granite & Tile, LLC . . . . . . . Home Design Wholesale . . . . . . . . Ozark Mountain Granite Co . . . . . . . Solid Surface Designs, Inc . . . . . . . Taylor Marble Co. . . . . . . . . . . Unique Tile, LTD . . . . . . . . . . Vermillion Hardwood Flooring . . . . . . Ground Source Heat Pumps DeLong Plumbing Two, Inc. . . . . . . . Krueger Geothermal Systems, Inc . . . . . Lennox Industries . . . . . . . . . . Lorenz Plumbing, Heating & Air . . . . . . Signature Home Comfort HVAC, Inc . . . . . Gutters & Gutter Covers ABC Seamless Siding & Windows . . . . . ABC Supply . . . . . . . . . . . Advanced Metal Fabricators . . . . . . . Alside . . . . . . . . . . . . . Arrowhead Building Supply . . . . . . . Bolivar Insulation of Spfld, LLC (A G5 Company) . D Man Construction, LLC . . . . . . . . Glennstone Roofing and Fence . . . . . . Guttershield . . . . . . . . . . . Southwestern Professional Exteriors . . . . . St. Clair of the Ozarks . . . . . . . . Window World of Springfield . . . . . . Hardware Alpine Wood Products . . . . . . . . Kitchenland U S A . . . . . . . . . . Meek’s - The Builder’s Choice . . . . . . Meek’s - The Builder’s Choice . . . . . . National Home Products . . . . . . . . The Millwork Shoppe . . . . . . . . . Heat Source Outdoor Furnace Systems Symbiont Services . . . . . . . . . . Heating & Air Conditioning Air and Water Solutions . . . . . . . . Air Services/All Service Plumbing . . . . . All Klear Plumbing, Heating & Cooling, Inc . . . ATS Heating & Cooling . . . . . . . . Connelly Plumbing Company . . . . . . . DeLong Plumbing Two, Inc. . . . . . . . Gold Mechanical, Inc. . . . . . . . . J&J Plumbing & Heating Co. . . . . . . . Knight Heating & A/C . . . . . . . . Krueger Geothermal Systems, Inc . . . . . Larson Heating, Air and Plumbing . . . . . Lennox Industries . . . . . . . . . . Lorenz Plumbing, Heating & Air . . . . . . Nature’s Renewable Products . . . . . . Signature Home Comfort HVAC, Inc . . . . . SS&B Heating & Cooling . . . . . . . . Symbiont Services . . . . . . . . . . Home Automation 3D Smart Homes LLC . . . . . . . . . Rave Design Services . . . . . . . . . SCS Home Entertainment . . . . . . . . Southwest Audio-Visual . . . . . . . . SS&B Heating & Cooling . . . . . . . . Home Design Dale Peer Home Design, Inc . . . . . . . Erica Lea Design Studios . . . . . . . . Insight Design Architects, LLC . . . . . . . J.L. Thompson Design Group, Inc . . . . . Ramsey Building Company LLC . . . . . .
Home Furnishings & Furniture CountrySide BBQ Pro Shop . . . . . . . Decorating Den Interiors . . . . . . . . Erica Lea Design Studios . . . . . . . . Gina McMurtrey Interiors LLC . . . . . . Maschino’s . . . . . . . . . . . . Obelisk Home . . . . . . . . . . . Home Theaters 3D Smart Homes LLC . . . . . . . . . Central Home Systems . . . . . . . . Interactive Home Systems . . . . . . . . Rave Design Services . . . . . . . . . SCS Home Entertainment . . . . . . . . Southwest Audio-Visual . . . . . . . . House Plans B&G Drafting, Inc. . . . . . . . . . Dale Peer Home Design, Inc . . . . . . . Insight Design Architects, LLC . . . . . . . J.L. Thompson Design Group, Inc . . . . . Infrastructure Gillespie Excavating Co, LLC . . . . . . . LaFollette Excavating . . . . . . . . . Inground Spas R.L.’s Swimming Pools . . . . . . . . . Insulated Concrete Forms Alandsons Inc . . . . . . . . . . . Alternative Energy Construction . . . . . . Cutting Edge Homes LLC . . . . . . . . Millstone Custom Homes . . . . . . . . TF Forming Systems, Inc. . . . . . . . . Insulation Alandsons Inc . . . . . . . . . . . Bolivar Insulation of Spfld, LLC (A G5 Company) . Bolivar Insulation of Spfld, LLC (A G5 Company) . Foundation Building Materials . . . . . . insulUSA, LLC . . . . . . . . . . . Larson Heating, Air and Plumbing . . . . . Meek’s Insulation & Drywall . . . . . . . Ozark Foam InSEALators . . . . . . . . Performance Foam Insulation . . . . . . . Southwestern Professional Exteriors . . . . . TF Forming Systems, Inc. . . . . . . . . Insurance Always Better Insurance . . . . . . . . Barker-Phillips-Jackson Inc. . . . . . . . Connell Insurance, Inc. . . . . . . . . Federated Mutual Insurance Companies . . . . Fidelity Title Agency . . . . . . . . . Fortner Insurance Services . . . . . . . Mid America Specialty Markets . . . . . . Naught-Naught Agency . . . . . . . . Interior Design Decorating Den Interiors . . . . . . . . Erica Lea Design Studios . . . . . . . . Gina McMurtrey Interiors LLC . . . . . . Interior Trim Meek’s - The Builder’s Choice . . . . . . The Millwork Shoppe . . . . . . . . . Investor Rehab Services SGF Contracting Services, Inc. . . . . . . Irrigation Gabris Landscaping, LLC . . . . . . . . JAG’S Lawn and Landscape . . . . . . . Lefty’s Pump and Drilling . . . . . . . . Myron Royce Gardens . . . . . . . . Trimworks Lawncare, Inc. . . . . . . . . Watersmith Irrigation, Inc . . . . . . . . Kitchen & Bath Bath Fitter . . . . . . . . . . (314) Bill’s Custom Woodworks Inc. . . . . . . Cabinet Concepts by Design . . . . . . . Creative Associates, Inc . . . . . . . . Custom Surface Solutions . . . . . . . .
886-5024 889-2067	. . . 887-6682 . . . 838-6011 . . . 840-4477 . . . 889-4300 . . . 753-4663 . Edge Supply Company . . . . . First Choice Construction, LLC. . . . Gina McMurtrey Interiors LLC . . . Harry Cooper Supply Company . . . J.L. Thompson Design Group, Inc . . KennCo Construction . . . . . . Lifemark Bath & Home Solutions, LLC . Meek’s Design Center . . . . . . Metro Appliances & More . . . . Ozark Mountain Granite Co . . . . Ozarks Marble . . . . . . . Solid Surface Designs, Inc . . . . Southern Materials Co . . . . . Taylor Marble Co. . . . . . . . The Light House Gallery . . . . . Top Tier Kitchens & Baths . . . . . Unique Tile, LTD . . . . . . . Wood Craft & Companies, LLC . . . Land Developers Built By Brett . . . . . . . . Bussell Building, Inc . . . . . . HP Construction, LLC . . . . . . Morelock Ross Properties, Inc. . . . Robbins Create & Construct, LLC . . . Stenger Homes, LLC . . . . . . Three Stone Homes . . . . . . Landscaping & Lawn Advanced Lawn Care & Fertilizer, Inc. . Creative Outdoor Lighting . . . . Gabris Landscaping, LLC . . . . . JAG’S Lawn and Landscape . . . . Myron Royce Gardens . . . . . Nixa Hardware & Seed Co . . . . Rosales Masonry Co., LLC . . . . Sustainable by Nature . . . . . The Deck Company . . . . . . Trimworks Lawncare, Inc. . . . . . Watersmith Irrigation, Inc . . . . . Lending Arvest Bank . . . . . . . . Central Bank of the Ozarks . . . . Central Bank of the Ozarks . . . . Commerce Bank . . . . . . . Great Southern Bank . . . . . . Guaranty Bank . . . . . . . O’Bannon Bank . . . . . . . Old Missouri Bank . . . . . . Springfield First Community Bank . . Systematic Savings Bank . . . . . The Bank of Missouri . . . . . . US Bank Home Mortgage . . . . US Bank Home Mortgage . . . . USA Mortgage Bank . . . . . . Lighting Control 3D Smart Homes LLC . . . . . . Creative Outdoor Lighting . . . . Fitch Electric, LLC . . . . . . . Interactive Home Systems . . . . . Rave Design Services . . . . . . SCS Home Entertainment . . . . . The Light House Gallery . . . . . Lighting Fixtures Alpine Wood Products . . . . . Creative Outdoor Lighting . . . . Harry Cooper Supply Company . . . Metro Appliances & More . . . . Myron Royce Gardens . . . . . Obelisk Home . . . . . . . . The Light House Gallery . . . . . Lot Sales Cowherd Construction Co. Inc. . . . Hawthorne Creek Homes . . . . . Integrity Homes by Stewart . . . .
258-2584 882-0214 . . . 865-8392 . . . 833-1113 . . . 443-2648 . . . 616-6488 . . . 889-1088 . .
King Built Properties, LLC . . . . . Morelock Ross Properties, Inc. . . . Robbins Create & Construct, LLC . . . Stenger Homes, LLC . . . . . . Three Stone Homes . . . . . . Lumber Companies Dyke Lumber Company . . . . . Heartwood Lumber Sales, Inc . . . Herrman Lumber Company . . . . Janss Lumber Co., LLC . . . . . Meek’s - The Builder’s Choice . . . Meek’s - The Builder’s Choice . . . Meek’s - The Builder’s Choice . . . Meek’s - The Builder’s Choice . . . Meek’s - The Builder’s Choice . . . Meek’s - The Builder’s Choice . . . Meek’s - The Builder’s Choice . . . Midwest Timber Supply LLC . . . . Southern Supply Company . . . . Manufactured Stone Acme Brick Company . . . . . . Acme Brick Company . . . . . . Dal-Tile . . . . . . . . . . Fraley Masonry . . . . . . . Meek’s - The Builder’s Choice . . . Rosales Masonry Co., LLC . . . . Masonry Contractors Fraley Masonry . . . . . . . Rosales Masonry Co., LLC . . . . Media ADsmith Marketing & Advertising . . KY3, Inc. . . . . . . . . . Mediacom . . . . . . . . . Midwest Droneworks . . . . . . News-Leader Media Group . . . . Springfield Business Journal . . . . Metal Roofing A-1 Guarantee Roofing . . . . . Advanced Metal Fabricators . . . . Dale’s Roofing, Inc . . . . . . Glennstone Roofing and Fence . . . Meek’s - The Builder’s Choice . . . Metal Works Advanced Welding & Ornamental Iron . Millwork, Moldings, & Doors Alpine Wood Products . . . . . Dyke Lumber Company . . . . . Habitat For Humanity . . . . . . Heartwood Lumber Sales, Inc . . . Herrman Lumber Company . . . . Janss Lumber Co., LLC . . . . . Meek’s - The Builder’s Choice . . . Meek’s - The Builder’s Choice . . . Meek’s - The Builder’s Choice . . . Meek’s - The Builder’s Choice . . . Meek’s - The Builder’s Choice . . . Meek’s - The Builder’s Choice . . . Meek’s - The Builder’s Choice . . . Meek’s - The Builder’s Choice . . . Meek’s Design Center . . . . . . Southern Supply Company . . . . The Millwork Shoppe . . . . . . Modular Home Construction Three Stone Homes . . . . . . Mold Remediation Bixler Corporation . . . . . . . Dog Gone Mold . . . . . . . Sunbelt Environmental Services . . . Mortgages Central Bank of the Ozarks . . . . Central Bank of the Ozarks . . . . Commerce Bank . . . . . . .
. 883-0502 . 861-8544 . 883-4600 . 582-1715 . 889-1929 . 831-6800 .
. . . (573) . . . . . .
863-0613 . 873-9696 . . . 882-2158 . . . 860-8125 . . . 862-5595 . Phone, Cable, Intercom Carnahan-White / D & J Automatic . . . . . Mediacom . . . . . . . . . . (573) SCS Home Entertainment . . . . . . . . Southwest Audio-Visual . . . . . . . . Photography Midwest Droneworks . . . . . . . . . Plumbing Contractors Air Services/All Service Plumbing . . . . . All Klear Plumbing, Heating & Cooling, Inc . . . Connelly Plumbing Company . . . . . . . DeLong Plumbing Two, Inc. . . . . . . . Gold Mechanical, Inc. . . . . . . . . J&J Plumbing & Heating Co. . . . . . . . Krueger Geothermal Systems, Inc . . . . . Larson Heating, Air and Plumbing . . . . . Lorenz Plumbing, Heating & Air . . . . . . Reed’s Plumbing & Excavation . . . . . . Wildman Plumbing . . . . . . . . . Plumbing Suppliers Edge Supply Company . . . . . . . . Harry Cooper Supply Company . . . . . . Meek’s - The Builder’s Choice . . . . . . Nixa Hardware & Seed Co . . . . . . . Plumb Supply Company . . . . . . . . Queen City Winnelson Co . . . . . . . Southern Materials Co . . . . . . . . Porta-Potties BWI Sanitation . . . . . . . . . . Power Washing Renew Crew . . . . . . . . . . . Printing/Graphics ADsmith Marketing & Advertising . . . . . ColorGraphic Printing Inc . . . . . . . . Signs Now . . . . . . . . . . . . Publications & Magazines 417 Magazine . . . . . . . . . . News-Leader Media Group . . . . . . . Springfield Business Journal . . . . . . . Quartz Counter Tops Solid Surface Designs, Inc . . . . . . . Taylor Marble Co. . . . . . . . . . . Railings Alside . . . . . . . . . . . . . Anchor Fence . . . . . . . . . . . MMC Fencing & Railing . . . . . . . . Ozark Fence and Supply Co., Inc. . . . . . Robinson Fence . . . . . . . . . . W Bar Y Fence . . . . . . . . . . Real Estate Sales & Marketing Coldwell Banker Vanguard Realtors - Greg Adkins . Eck Group Building & Development LLC . . . . Greater Springfield Board of Realtors . . . . Jim Hutcheson Realtors . . . . . . . . Keller Williams Realty . . . . . . . . . Keller Williams Realty - Midwest Property Sisters . Murney Associates, Realtors . . . . . . . Murney Associates, Realtors - Debi Murray . . . Murney Associates, Realtors - Donna Cleous . . Murney Associates, Realtors - Rebecca Martin . . Tri-Lakes Board of Realtors . . . . . . . Rebar DeVille Steel Inc. . . . . . . . . . . Fimco Steel Supply Co. . . . . . . . . Meek’s - The Builder’s Choice . . . . . . Remodeling: Commercial BP Builders LLC . . . . . . . . . . Friga Construction Co. Inc . . . . . . . HA Construction Design . . . . . . . . Master’s Plan Construction, LLC . . . . . . Rock Solid Renovations . . . . . . . . Steward Construction, LLC . . . . . . .
887-6177 886-5024 . . 724-1018 . . 887-7134 . . 594-0632 . . 889-6000 . . 581-8096 . . 886-8976 . . 887-7707 . . 886-5882 . . 425-9401 . . 501-5133 . Remodeling: Kitchen & Bath BP Builders LLC . . . . . . . . Built By Brett . . . . . . . . . Curran Construction, LLC . . . . . . Friga Construction Co. Inc . . . . . Master’s Plan Construction, LLC . . . . Rhoads Design & Construction . . . . Rock Solid Renovations . . . . . . Sam Bradley Homes . . . . . . . Steward Construction, LLC . . . . . Superior Exteriors & Remodeling . . . . The Property Doctors . . . . . . . White House Renovations, LLC . . . . Remodeling: Repairs HA Construction Design . . . . . . Steward Construction, LLC . . . . . Superior Exteriors & Remodeling . . . . Remodeling: Residential BP Builders LLC . . . . . . . . Built By Brett . . . . . . . . . Curran Construction, LLC . . . . . . Eck Group Building & Development LLC . . First Choice Construction, LLC . . . . Friga Construction Co. Inc . . . . . Gene Douglas Construction . . . . . HA Construction Design . . . . . . John Marion Custom Homes, LLC . . . Master’s Plan Construction, LLC . . . . Millstone Custom Homes . . . . . . Monticello Custom Homes & Remodeling . Rhoads Design & Construction . . . . Rock Solid Renovations . . . . . . Sam Bradley Homes . . . . . . . Steward Construction, LLC . . . . . Superior Exteriors & Remodeling . . . . The Property Doctors . . . . . . . White House Renovations, LLC . . . . Remodeling: Restoration . . . . . . Gene Douglas Construction . . . . . HA Construction Design . . . . . . Rental Equipment Hayden Machinery, LLC . . . . . . Wildcat Tool Rental . . . . . . . Residential Cleaning Bixler Corporation . . . . . . . . Residential Designs B&G Drafting, Inc. . . . . . . . Dale Peer Home Design, Inc . . . . . Gina McMurtrey Interiors LLC . . . . Insight Design Architects, LLC . . . . . J.L. Thompson Design Group, Inc . . . Roll Off Dumpsters Republic Services . . . . . . . . Waste Corporation of America . . . . Roofing Contractors A-1 Guarantee Roofing . . . . . . D Man Construction, LLC . . . . . . Dale’s Roofing, Inc . . . . . . . Glennstone Roofing and Fence . . . . KennCo Construction . . . . . . . Midwest Lifetime Roof Systems, Inc. . . . Roofing Suppliers ABC Supply . . . . . . . . . Arrowhead Building Supply . . . . . DJ Roofing Supply Inc. . . . . . . Meek’s - The Builder’s Choice . . . . Meek’s Insulation & Drywall . . . . . Safe Room FamilySAFE . . . . . . . . . Screen Repair American Glass . . . . . . . . Screenmobile of the Ozarks, LLC . . . .
883-5420 . 889-3545 . . 343-6058 . . 724-8553 . . 230-2524 . 863-0613 . 882-9595 . . 882-2158 . . 860-8125 . . 881-8147 (913) 393-3008 . 831-1830 879-7000 . . 865-4266 . . 889-1929 . . 883-0066 .
. 886-8032 . 883-9777 . . 866-4361 . . 831-7100 . . 725-5220 .
. 873-9696 881-3772 . 862-2446 .
. 224-3926 268-7399 . . 732-7233 . . 200-0052 . Stair Lifts and Ramps Country Home Elevator & Stair Lifts . . . Lifemark Bath & Home Solutions, LLC . . Stairs & Railings Advanced Welding & Ornamental Iron . . Carnahan-White, Inc . . . . . . . Janss Lumber Co., LLC . . . . . . MMC Fencing & Railing . . . . . . The Millwork Shoppe . . . . . . . Stamped Concrete Concrete Enhancements . . . . . . Mocrete . . . . . . . . . . Tidwell Concrete, Inc. . . . . . . . Wightman Construction, LLC . . . . . Steel Siding ABC Seamless Siding & Windows . . . Steel Supplier Advanced Metal Fabricators . . . . . DeVille Steel Inc. . . . . . . . . Fimco Steel Supply Co. . . . . . . Storm Shelters Alternative Energy Construction . . . . F-5 Storm Shelter . . . . . . . . FamilySAFE . . . . . . . . . TF Forming Systems, Inc. . . . . . . Structural Insulated Panels Monticello Custom Homes & Remodeling . Structural Steel Fabricator DeVille Steel Inc. . . . . . . . . Fimco Steel Supply Co. . . . . . . Structured Media Systems Southwest Audio-Visual . . . . . . Sun & Pet Screens Screenmobile of the Ozarks, LLC . . . . Sun Rooms Gene Douglas Construction . . . . . Liberty Home Solutions, LLC . . . . . Screenmobile of the Ozarks, LLC . . . . SmithCo Exteriors, LLC . . . . . . St. Clair of the Ozarks . . . . . . White House Renovations, LLC . . . . Sustainable Housing Solutions HP Construction, LLC . . . . . . . Insight Design Architects, LLC . . . . . Sun Solar . . . . . . . . . . Swim Spa Le Dipping Parlor Spas . . . . . . Swimming Pools American Pool & Spa . . . . . . . Buster Crabbe Pools, Inc. . . . . . . Cutting Edge Homes LLC . . . . . . R.L.’s Swimming Pools . . . . . . . Springfield Pool & Spa . . . . . . Tables Custom Granite & Tile, LLC . . . . . Tankless Hot Water Systems Air and Water Solutions . . . . . . Connelly Plumbing Company . . . . . Tile	Reed’s Plumbing & Excavation . . . . Acme Brick Company . . . . . . . Acme Brick Company . . . . . . . Casual Carpets, Inc. . . . . . . . Color Tile and Carpet . . . . . . . Custom Granite & Tile, LLC . . . . . Dal-Tile . . . . . . . . . . . Discount Dave’s LLC . . . . . . . Home Design Wholesale . . . . . . Kitchenland U S A . . . . . . . . Missouri Tile . . . . . . . . . Ozark Mountain Granite Co . . . . . Stoneridge Flooring Design . . . . . Unique Tile, LTD . . . . . . . .
881-0898 . . . . Title Company Fidelity Title Agency . . . . . . . Great American Title . . . . . . . Hogan Land Title Co . . . . . . . WACO Title . . . . . . . . . Title Insurance Fidelity Title Agency . . . . . . . Great American Title . . . . . . . Hogan Land Title Co . . . . . . . WACO Title . . . . . . . . . Tools	HK&W Supply . . . . . . . . . Missouri Tile . . . . . . . . . Nixa Hardware & Seed Co . . . . . Topsoil Gillespie Excavating Co, LLC . . . . . Trade Association MO Propane Education & Research Council Springfield Area Chamber of Commerce . Treated Lumber Herrman Lumber Company . . . . . Meek’s - The Builder’s Choice . . . . Tree Service Gabris Landscaping, LLC . . . . . . Tub Liners Custom Surface Solutions . . . . . . Liberty Home Solutions, LLC . . . . . Springfield Rebath . . . . . . . . Top Tier Kitchens & Baths . . . . . . Universal Design Built By Brett . . . . . . . . . HP Construction, LLC . . . . . . . King Built Properties, LLC . . . . . . Lifemark Bath & Home Solutions, LLC . . Reid Homes, Inc. . . . . . . . . Steward Construction, LLC . . . . . Superior Exteriors & Remodeling . . . . Wise Built Homes . . . . . . . . Used Building Materials Archer Construction Company . . . . Habitat For Humanity . . . . . . . Utilities City Utilities of Springfield . . . . . Gillespie Excavating Co, LLC . . . . . LaFollette Excavating . . . . . . . Webster Electric Cooperative . . . . . Video Productions ADsmith Marketing & Advertising . . . Vinyl Specialist Color Tile and Carpet . . . . . . . Discount Dave’s LLC . . . . . . . W Bar Y Fence . . . . . . . . Walk In Tubs Lifemark Bath & Home Solutions, LLC . . Springfield Rebath . . . . . . . . Wall Covering Contractors Superior Interiors, Inc. . . . . . . Waste Disposal Republic Services . . . . . . . . Sunbelt Environmental Services . . . . Waste Corporation of America . . . . Water Damage Restoration Bixler Corporation . . . . . . . . KennCo Construction . . . . . . . Water Treatment Air and Water Solutions . . . . . . Culligan of Springfield . . . . . . Hewitt-Messenger Well Drilling . . . . Lefty’s Pump and Drilling . . . . . . Water Technology of the Ozarks . . . . Wildman Plumbing . . . . . . .
886-5024 . 887-6682 . 849-9817 . . 881-5433 . . 840-1616 . . 887-7707 . . 886-5882 . . 689-4224 .
. 888-2398 862-3283 . 862-5115 . Water, Sewer, & Storm Drains Air Services/All Service Plumbing . . . . . Connelly Plumbing Company . . . . . . . Gillespie Excavating Co, LLC . . . . . . . LaFollette Excavating . . . . . . . . . Waterproofing Advanced Foundation Coatings, Inc. . . . . Anderson Construction Co., Inc. . . . . . . Dal-Tile . . . . . . . . . . . . . Foundation Recovery Systems . . . . . . P.E.P. Waterproofing, LLC . . . . . . (573) Well Drilling Hewitt-Messenger Well Drilling . . . . . . Lefty’s Pump and Drilling . . . . . . . . Sunbelt Environmental Services . . . . . . Windows ABC Seamless Siding & Windows . . . . . ABC Supply . . . . . . . . . . . Alside . . . . . . . . . . . . . American Glass . . . . . . . . . . Andersen Windows . . . . . . . . . Arrowhead Building Supply . . . . . . . Bolivar Insulation of Spfld, LLC (A G5 Company) . D Man Construction, LLC . . . . . . . . Dyke Lumber Company . . . . . . . . Herrman Lumber Company . . . . . . . Janss Lumber Co., LLC . . . . . . . . KennCo Construction . . . . . . . . . Liberty Home Solutions, LLC . . . . . . . Meek’s - The Builder’s Choice . . . . . . Meek’s - The Builder’s Choice . . . . . . Meek’s - The Builder’s Choice . . . . . . Meek’s - The Builder’s Choice . . . . . . Meek’s - The Builder’s Choice . . . . . . Meek’s - The Builder’s Choice . . . . . . Meek’s Design Center . . . . . . . . . Midwest Window & Door Corp. . . . . . . Pella Window & Door of Springfield . . . . . SmithCo Exteriors, LLC . . . . . . . . Southern Supply Company . . . . . . . Southwestern Professional Exteriors . . . . . St. Clair of the Ozarks . . . . . . . . The Millwork Shoppe . . . . . . . . . Window World of Springfield . . . . . . Windsor Windows & Doors . . . . . . . Wood Floors Acme Brick Company . . . . . . . . . Bearden Carpet . . . . . . . . . . Casual Carpets, Inc. . . . . . . . . . Classic Wood Floors . . . . . . . . . Color Tile and Carpet . . . . . . . . . Creative Associates, Inc . . . . . . . . Discount Dave’s LLC . . . . . . . . . Heartwood Lumber Sales, Inc . . . . . . Home Design Wholesale . . . . . . . . Meek’s - The Builder’s Choice . . . . . . Meek’s Design Center . . . . . . . . . Midwest Rug Company . . . . . . . . Mouery’s Flooring . . . . . . . . . . Springfield Carpet One . . . . . . . . Stoneridge Flooring Design . . . . . . . The Carpet Shoppe, Inc. . . . . . . . . Vermillion Hardwood Flooring . . . . . .
Get involved with the CBBT Contact Miles or Charlyce at 881.3711. F u ll L in e L u mb eryard W i n d o ws an d D o o rs D o o r L ocks & H ard ware C u s to m M illwo rk C a b i n et s D y k e Lum b er and Mi l l w o r k .co m 2 1 1 9 W Battl efi e l d St. Complete Membership Directory for HBAGS as of May 2018. 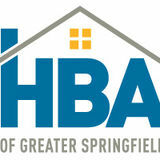 For an up-to-date directory go to HBAHomePros.com.